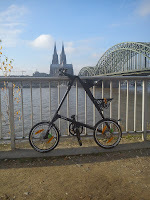 Recently I sold my Strida 5.0 and got a Strida MAS. This is a Special Edition with a really nice feature - a two gear ATS Speed Drive. I upgraded it with 18" wheels and a new saddle. 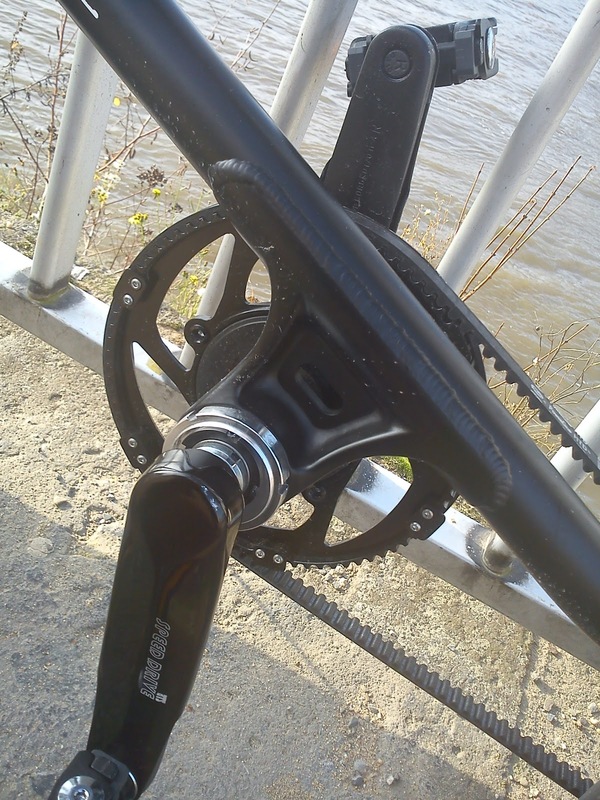 The Strida MAS is BLACK: black frame, black wheels, black pedals, black handle bars and NEON GREEN break callipers. It looks great. 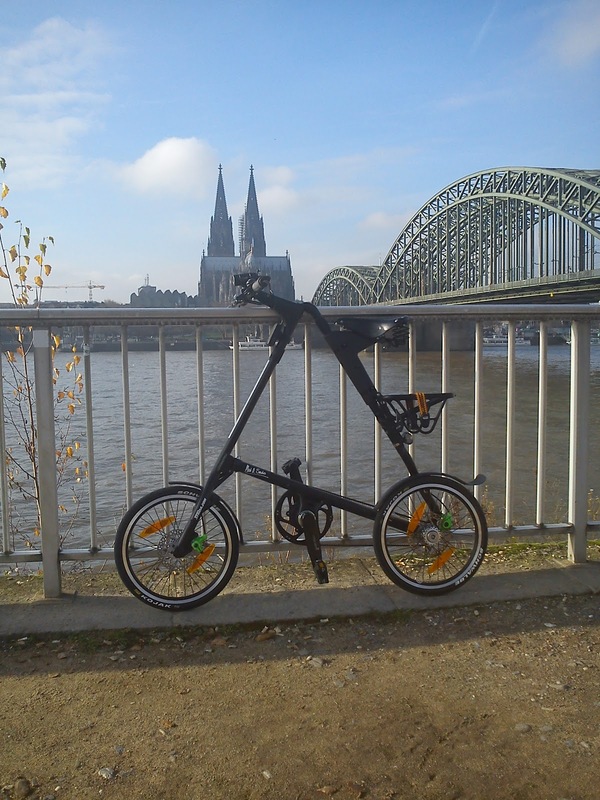 The MAS has a more sturdy frame, too. Check the stem and the welded connections on the pictures. 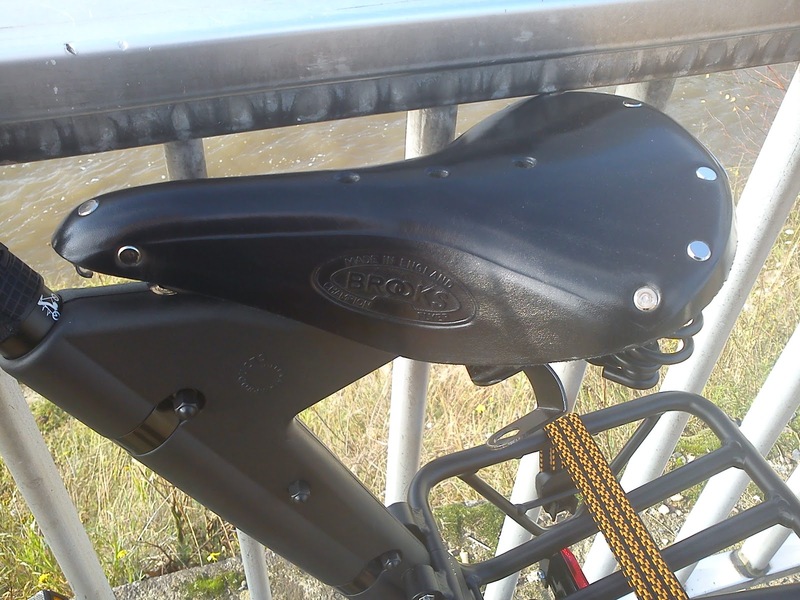 From the people at Strida Forum I got the suggestion to use a saddle with springs. The Brooks Champion Flyer fits nicely and provides a comfortable ride. It's getting dark early these days so I added some real lights. The included lights are a joke. 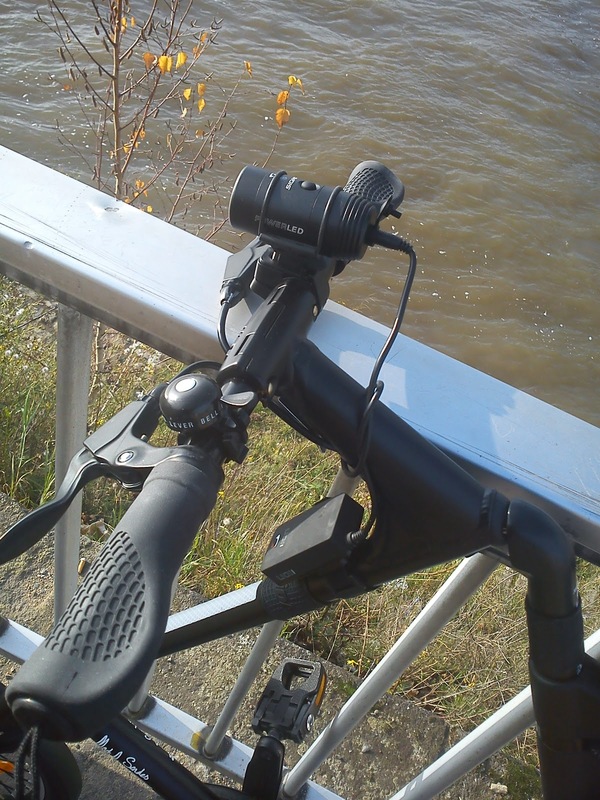 I'm using a Sigma PowerLED and a B&M IXBack senso. The Sigma allows me to take routes without street lights. It has 3 settings: bright, brighter, brightest - but no blinking. (I really hate blinking front lights). 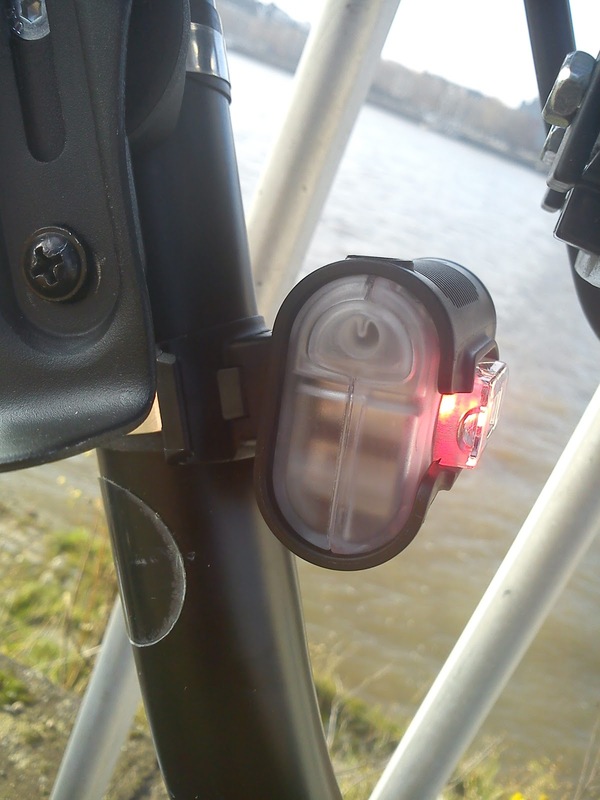 You can use an removeable integrated battery holder (4xAA) or an special external pack (Li-Ion). The IXBack rear light has a nice compact holder. The inner part (called lightbox by B&M) can be removed easily. If you have any questions about the bike, please add a comment. nette Seite, hatte ich noch gar nicht auf dem Schirm. Would you recommend this profile tyres or slicks for the city? The Kojak are slicks and they perform great. But they need even, dry streets for optimal performance.